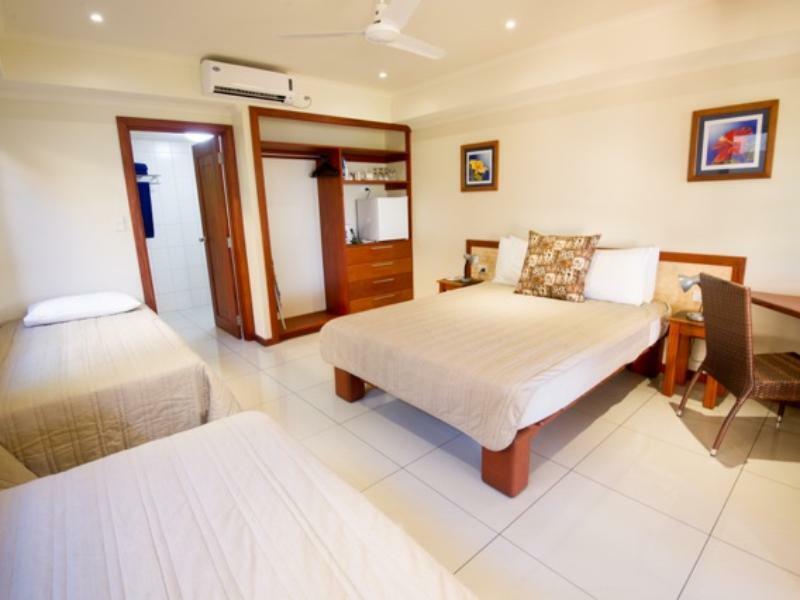 يشكل Volivoli Beach Resort Fiji بموقعه الممتاز في راكيراكى نقطة انطلاق جيدة لاستكشاف هذه المدينة النابضة بالحياة. إن موقع الفندق الاستراتيجي، الذي يبعد 10. Km فقط عن مركز المدينة، يسمح للنزلاء بالوصول سريعاً وبسهولة إلى العديد من الوجهات المحلية المثيرة. يوفر الفندق بفضل موقعة الجيد وصولاً سهلاً إلى أهم معالم المدينة.
. إن الخدمات التي يقدمها Volivoli Beach Resort Fiji تضمن للنزلاء إقامة مريحة. يقدم الفندق فرصة للاستمتاع بشريحة واسعة من الخدمات بما فيها: تسجيل وصول/خروج سريع, تخزين الأمتعة, واي فاي في المناطق العامة, صف السيارات, التوصيل من وإلى المطار . في Volivoli Beach Resort Fiji غرف نوم يزيد عددها عن 32 صممت بذوق وعناية لتوفر لك كل وسائل الراحة . بعضها يحتوي أضاً على اتصال لاسلكي بالإنترنت, غرف لغير المدخنين, مكيف هواء, مكتب, شرفة/ تراس. صممت خدمات الاستجمام في الفندق والتي تتضمن شاطئ خاص, حمام سباحة خارجي, غوص, صيد السمك, سبا لمساعدتك على الاسترخاء والراحة. يشكل Volivoli Beach Resort Fiji بخدماته الراقية وموقعه الممتاز، قاعدة مثالية للاستمتاع بإقامتك في راكيراكى. تُفرض رسوم على الأطفال من عمر عامين إلى 12 عامًا بقيمة 55 دولار فيجي لكل طفل في الليلة عند استخدام الأسرّة الموجودة في الغرفة. سيقوم مكان الإقامة بتحصيل رسوم لخطط وجبات الإقامة مع وجبتي طعام للنزلاء الذين حجزوا باقة "الغرفة فقط". لطرح أي استفسارات أخرى، يُرجى الاتصال بالعقار مباشرةً. Massively overprized. Room ugly, menu poor. Nice bar at the beach, very relaxing. Might be good for diving, not for family holidays. Pool below average. We have been day visitors to Voli voli many, many times but never stayed before. Other than no TV and the bed not being great is was well worth the money!! We stayed here for 5 nights for our honeymoon. We stayed in a room (rather than a bure). It was very nice. The room had AC, private bathroom, and a small fridge plus hot water heater for tea & coffee. We purchases the (mandatory) half board and then usually split a meal for lunch after we came back from diving @ ~2pm. Staff were great! We did 3 days of 2 tank dives & it was absolutely fantastic. The dive staff at Ra Divers are all wonderful. We went on a different boat each day (because of the varying # of divers), & found all 3 to be quite nice. For the smaller boat they set up a cover to provide shade under the sun. In between dives we had water, hot cocoa, fruit, and some cookies. The dive guides were very well versed in the natural biology, and were adept and finding interesting things for us to look at. They showed us 2 octopus out during the day on 1 dive, & then found ornate ghost pipefish on the next dive. We also saw amazing coral, lots of nudibranchs, sharks, & much more. Absolutely loved our time staying at Voli Voli. It was our first time going to an all inclusive and our expectations were really exceeded! The food was really amazing--both my partner and I are gluten free and we were amazed at how many options were on the menu! We pretty much had something different everyday for dinner, and all were fantastic. The drinks were also great and the staff was so friendly and attentive. The rooms were also clean and comfortable. We also really enjoyed the fact that the resort was quite small--everyone knew each others names and it really felt homey. Was about a 3 hour ride from the airport, which was definitely easier than taking another plane or boat to another island. There were plenty of activities to do everyday if that's what you're looking for, or if you're like us and just wanted to relax and eat/drink/lay in the sun all day, it's perfect for that as well!! Would definitely recommend to anyone coming to Fiji. We could felt both Fijian welcome and the resort time. Every staff were welcomed us.We dived on the site that was very far from the beach. But the coordinator supported us and we spent the precious time during diving. Thnak you. Went there for a weekend trip. Unfortunately the weather was pretty bad so could really make use of the outside facilities. Will come back at some point as we really liked it overall. Good food. We spent 2 nights here doing absolutely nothing. Not that they don't have any option, but because its a beautiful place for doing nothing. 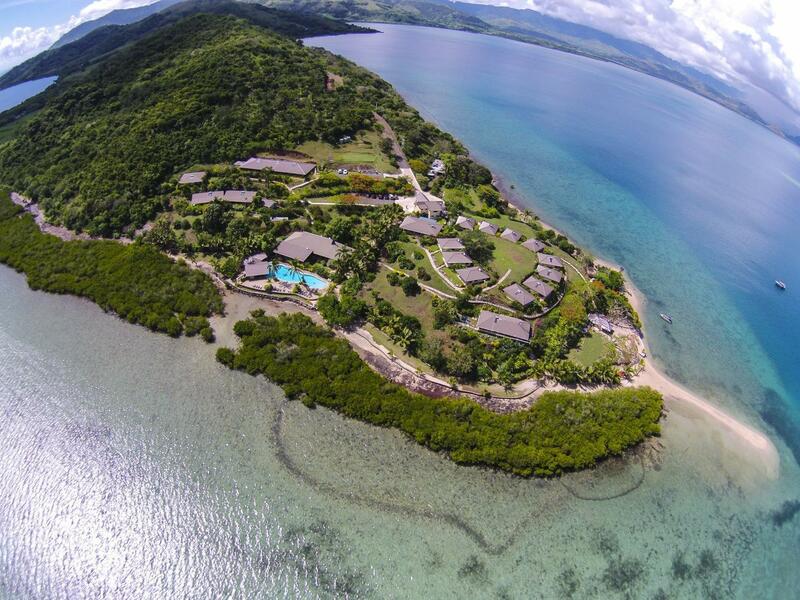 The resort comes with many options of activities (diving, island hopping, village trip, etc. ), but also allows you to relax and enjoy your own time. The people are awesome - Maxi, La, Esiri, Sasha, Viri - only few to name (and guys I am sorry if I have misspelled your names). All in all, its a beautiful place to enjoy your time. However, few points to remember - its an expensive place (like many other Fiji destinations), the breakfasts can be better (instead of bread, fruit, yogurt, muffin, cereal, juice and coffee) given the price the guests are willing to pay, road from highway to the resort is all gravel so one will be better off with an off-road car, and finally would a free wifi in public space (restaurant, lounge) be too much to ask for (you never know if I spend long in lounge I might buy few drinks)? 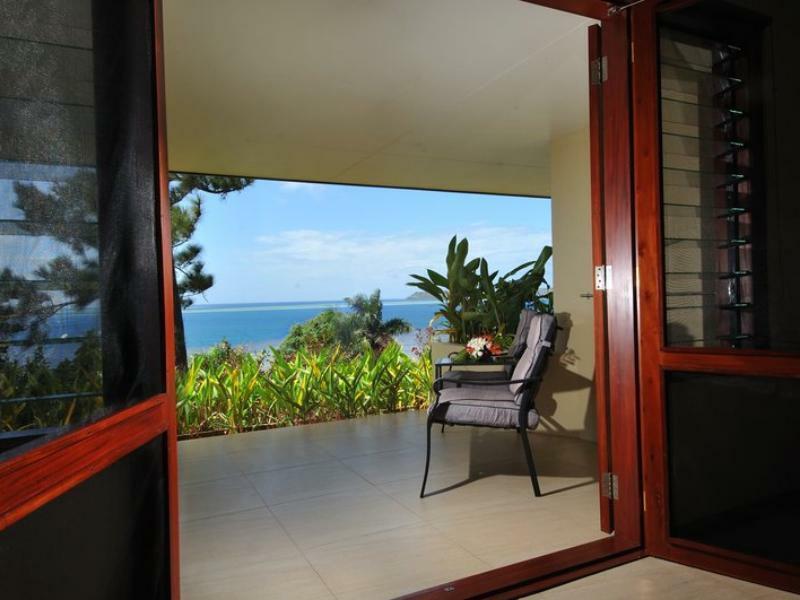 Room was pretty, with a nice view of the ocean for ocean view villa at $362.00. This hotel is much better than Wananavu by a mile. However the staff in the restaurant were not professional as they were selective in who they were serving. The kava was delivered after 2 hours which was extremely poor service until the resort owner mentioned to his staff to serve. We were advised on arrival that the Taps are salty water. So when you shower, the shower gel doesn't lather. Drinking water supply is minimal in the room as jug given. There is no menu in the room and i was hassled by the restaurant staff yo return this back while I was eating dinner. It would be nice if the staff received training on how to provide service in a professional manner. Over all, it was nice place but best you take in your own drinks and snacks. The food serving in the restaurant is quite stingy for what you pay. Not happy with food servings. This is a beautiful place. It could only be better if it was on the edge of a coral reef on one side and an endless white sand beach on the other. But those are not too far away. 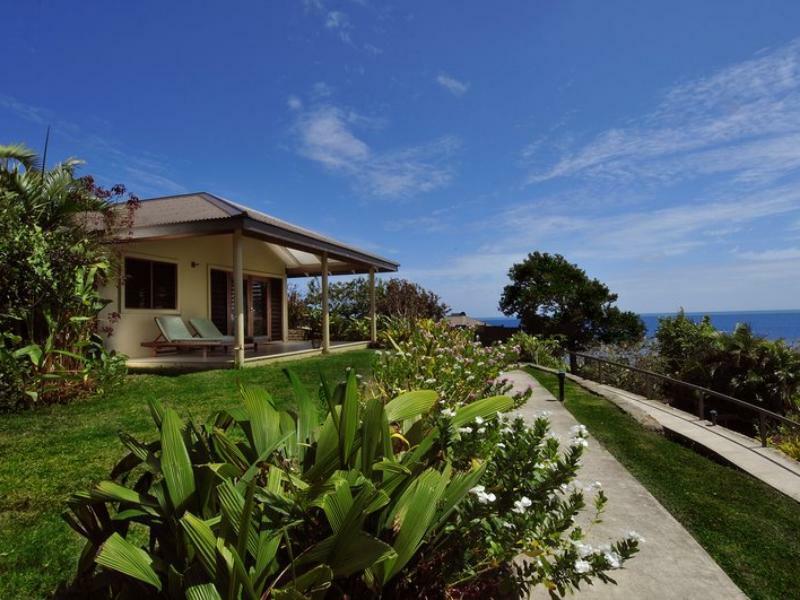 Voli Voli is in a beautiful location with stunning views but it is remote. We had a car so that was no problem. The road in is a bit rough especially the last 100 metres. Snorkelling around the resort is average to poor. We paid for 2 trips to Nananu Ra and were dropped off for the day. Clear water, stunning coral gardens and plenty of fish to snorkel amongst. All staff were lovely except for reception. I only encountered 2 of these staff but both had a superior attitude which was not appreciated. The place is a nice basic hotel. Nothing fancy. It is 2 1/2 hours from the airport and the transfers are very expensive. It has a small ok beach. the food was overpriced and there is no where else to eat. It is far to get to good scuba diving if that is why you are going. Volivoli is amazing, from the views to the food and the staff, everything was fantastic. Snorkelling and the fish and coral was amazing and our first time for scuba was a blast. Fishing, while a tad expensive was also good and we would love to come back and spend more time doing everything all over again.